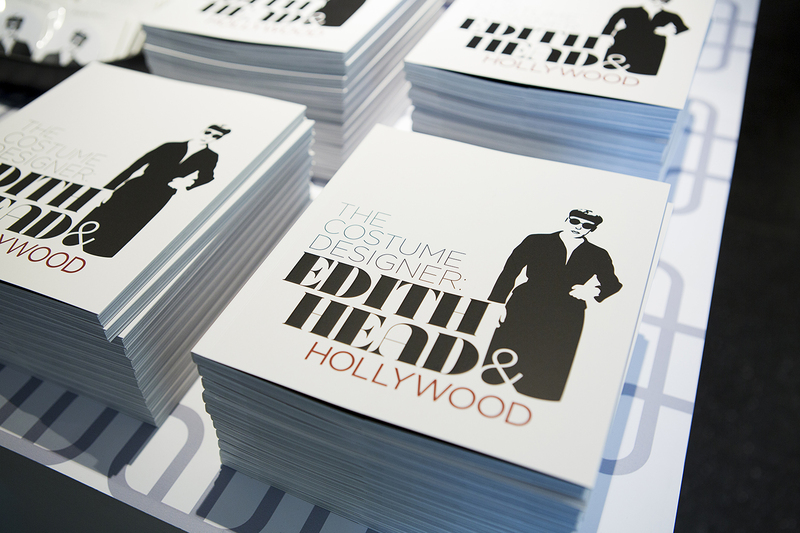 Hollywood designer Edith Head’s iconic costumes are as famous as the actors who wore them. 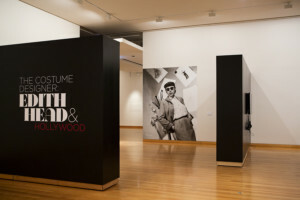 In a short two hour trip to Bendigo, Curator Tansy Curtin offers, in The Costume Designer: Edith Head and Hollywood, a unique once-in-a-lifetime show to die for from Hollywood’s leading dress designer of the last century. You will see so many famous pieces, awakening all your memories of a bygone era. 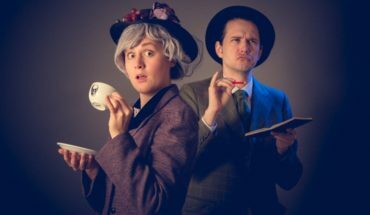 The roll call of creatives she worked with is eye-popping – Hitchcock, Cecil B. De Mille, the most popular actresses in town, and all the handsome others. Seeing each costume before you brings back to life your love of these fantastic film narratives! 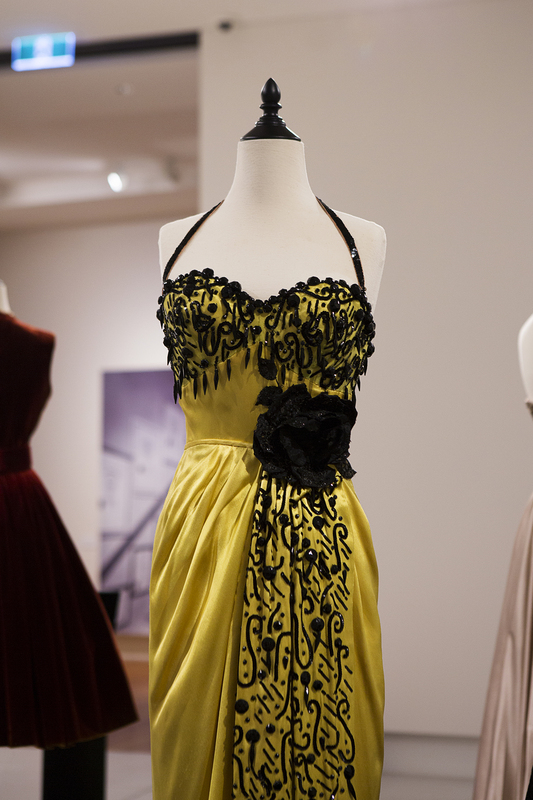 On show are 70+ costumes from Paramount archives, archives of The Collection of Motion Picture Costume Design, and from private collections. Step back in time as you view her impeccable CV of famous films, where you’ll learn about the different eras she produced work for, gaining insight into the creative process. More than just a costume designer, she was an artist and storyteller. Head brought refined craftsmanship, intelligence, commercial smarts and an attenuated know how of satisfying the producer, director and actor with her creations. Many a star has said that it was when they tried her costumes on that they were better able to ‘get into character’. Indeed, her ensembles look like ready made animations or characters! The shapes, colour, fabrics and entire ‘look’ tell a story themselves. Paramount Pictures Head of Production for 30 years, costumier, designer and accomplished talent whizz, Edith Head was a women who worked in a world where powerful men made the important decisions, on product tone, content, budget, and approval. Negotiating this world for many decades in the early twentieth century could not have been a job many, or just any, woman would take to easily, but Head was a determined player who was master of her domain, producing recognisable work of unparalleled excellence that is as clever, witty and dramatic today as it was over 50 years ago! 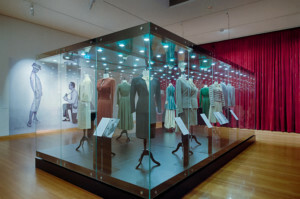 A sequenced room layout highlights different genres as well as stages of her career, from the 1920s, through the ‘40s and 50’s, into the 1960s and beyond, via works housed inside glass casing, film footage, or in the marvelous main viewing space where you are entirely surrounded by creations displayed in the open on small disc-like stages. You are accompanied by Hollywood film scores, helping transport you to this magical world of confection. It’s the perfect support for these sparkling jewels of fabric finesse and detailed cut. You will love seeing the little notes giving background on intimate relationships.The embellishments are endless and each little addition adds to the final image imagined by Head. 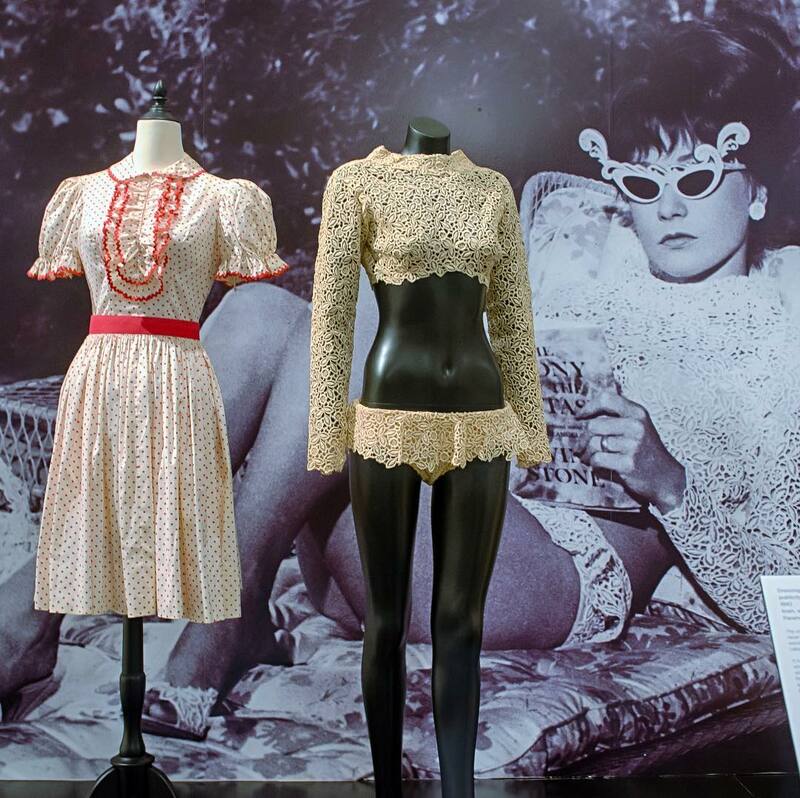 Famous samples on show here include Audrey Hepburn’s 1957 Funny Face tailored suit, Ginger Roger’s masculine 1940s day suit, Kim Novak’s 1958 Vertigo day wear, Dorothy Lamour’s 2-piece sarong dress which could be seen in stores today, and Gloria Swanson’s Sunset Boulevard nightgown. 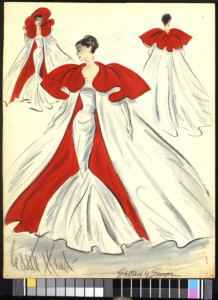 You also get chiffon night dresses, evening gowns, and historical or performance costumes which are colorful, bold and theatrical! The exhibition is dedicated to her oeuvre which means we see back-of-house application, planning and work, as well as the glamorous finished product. We observe studies of her at a canvas, trial dressing, with paintbrush or pen in hand, a dedicated employee. One room displays original illustrations right across her lengthy career. It’s stunning to see these artefacts and observe how ideas of womanhood changed. One room is entirely devoted to her ‘foreign’ forays- into historical and oriental epics such as The Ten Commandments and The Buccaneer or Elvis Presley’s GI Blues. 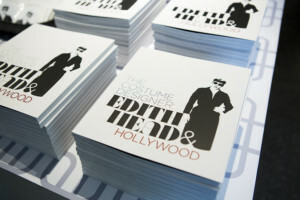 When it comes to Edith Head, what’s so interesting is the woman herself. Stunning floor-to-ceiling black-and-white photos lead you through the space with her wicked quotes. Impeccably attired, she is seen her in tailored suits, with thick bangs hovering over her face with black glasses, painted lips, earrings, pearls, her signature look. From her deadpan quips, you gain a sense of the sharp perceptions of the commercial traffic of Hollywood. A final room shows her 1953 Roman Holiday Academy Award as well as television interviews with her late in her career, in her eighties. Head was a highly successful woman of business who was more concerned with the hard graft offstage that produced the magic loved by millions. Film footage of the lady accepting one of her 8 Academy Awards, has her walk on, give thanks, and exit. Her work speaks for itself. This is a must see exhibition for lovers of cinema history. The works are beautiful but gaining an insight into this force of nature inspires with wonder. Sarah W. is a dance-trained theatre lover with a flair for the bold and non-traditional performance platforms. On the street or in the box seat, she looks for quality works that push the envelope. The Costume Designer: Edith Head and Hollywood shows 29 September to 21 January 2018 at Bendigo Art Gallery. 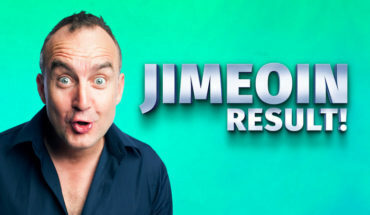 Open Daily, incl. public holidays (except Christmas day). There is a free public screening of Hitchcock’s Vertigo 8pm, Saturday 13 January, and Hollywood Dinner 20 January with, evening viewings, to farewell the exhibition. The exhibition catalogue ($35) can be purchased from the Gallery Shop, online when buying tickets. The catalogue can not be sold internationally. Disclosure: The Plus Ones were the guests of Bendigo Art Gallery. Image credit: Bendigo Art Gallery.